Foreign Exchange – A Lesson in Hip Hop, Authenticity and the Essence of Eternal Cool | SOUL OF SYDNEY FEEL-GOOD FUNK SOUL DISCO vibes & beyond. We have a lot to thank the message boards of Okayplayer.com for. 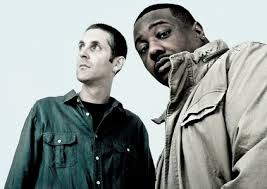 Not only have they connected musicians and creatives across the globe through the experience of sound and music, but they have also birthed one of the most influential and progressive hip hop / electronic groups to date. Foreign Exchange are the counterpoint of what lies between a great music and soul shifting music, with their take of fusing the right combination of soul, hip hop and electronic beats to create a sound that is transcendent above the rest. ← NEW MUSIC: Sydney based artist SUGARZ and Melbourne Boogie don Benny Badge come together for ‘CITY OF LIGHT’ (Gulf Point Records/UK).